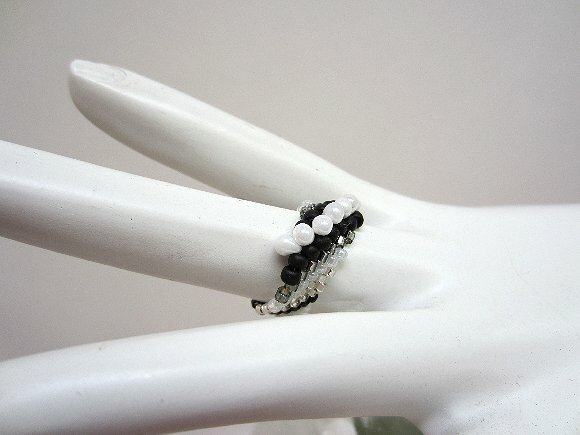 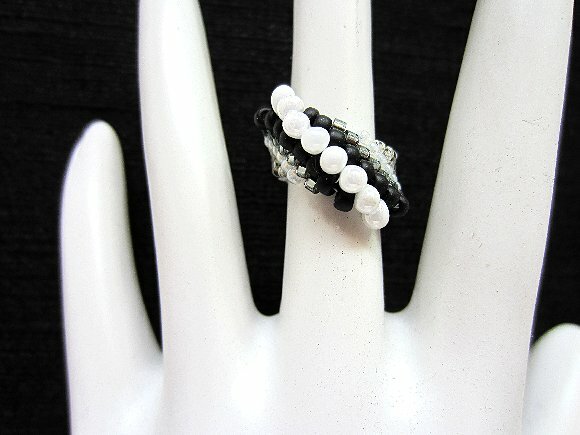 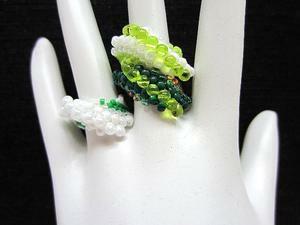 This lovely beaded ring is very dimensional. 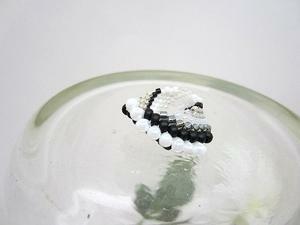 Different sizes and shapes go together to make a design that?s as distinctive as it is pretty. 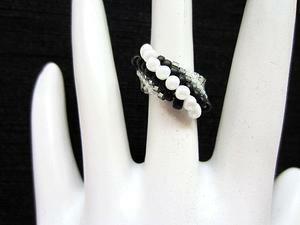 I?ve used black and white, plus some silvery grey and clear beads.